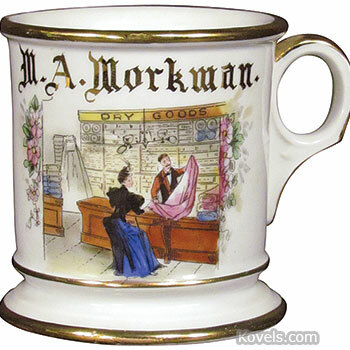 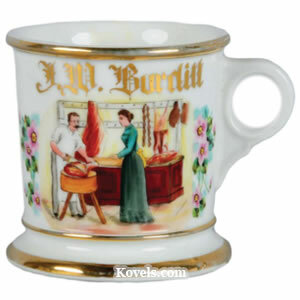 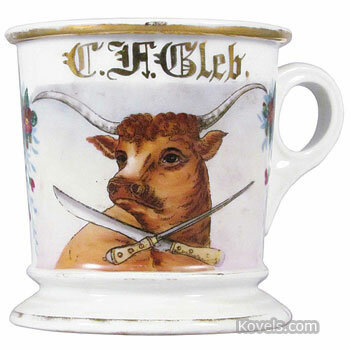 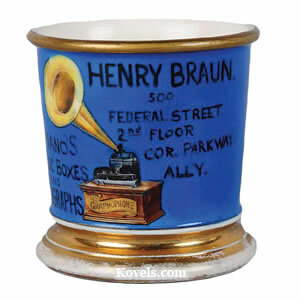 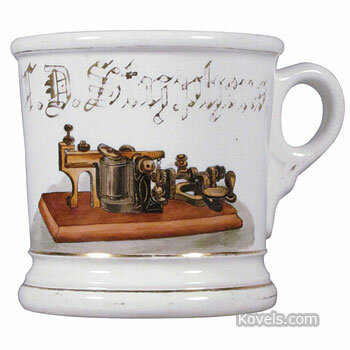 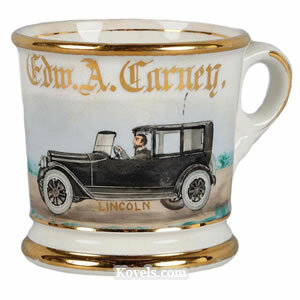 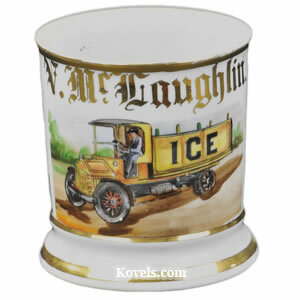 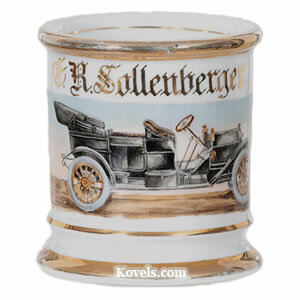 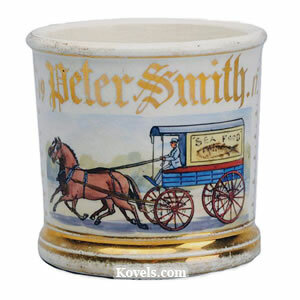 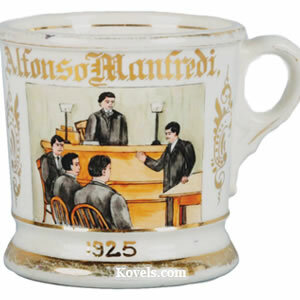 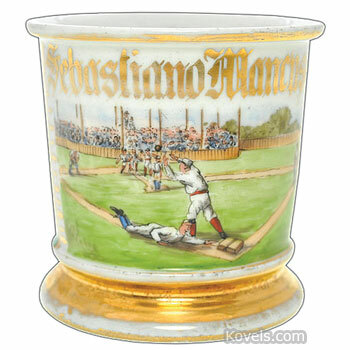 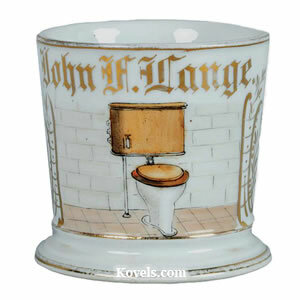 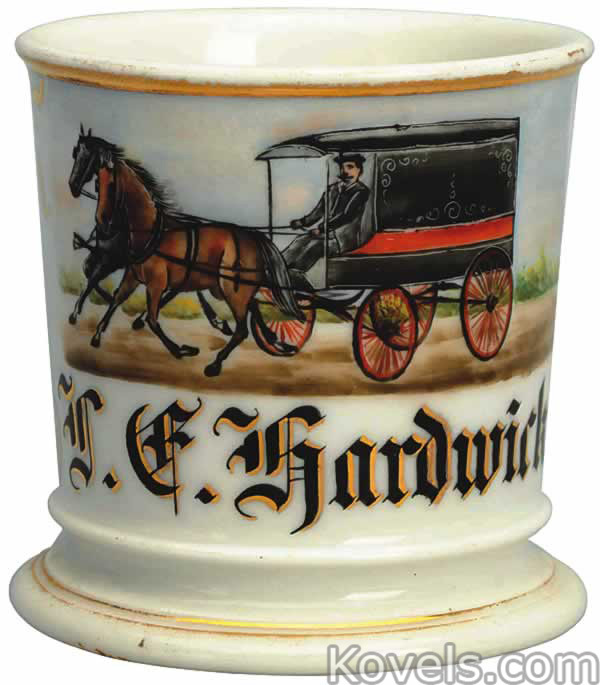 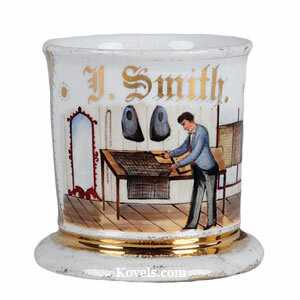 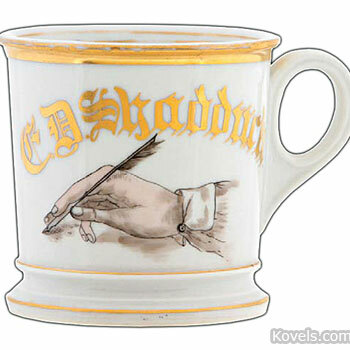 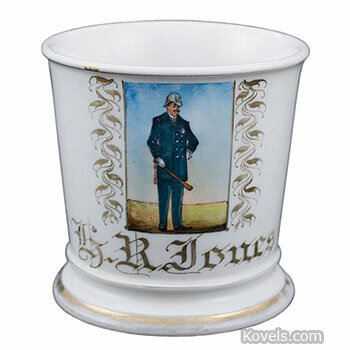 Shaving mugs were popular from 1860 to 1900. 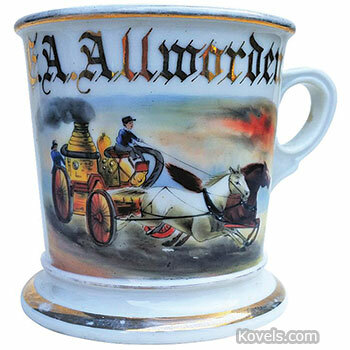 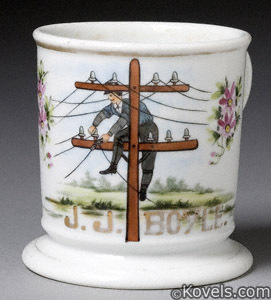 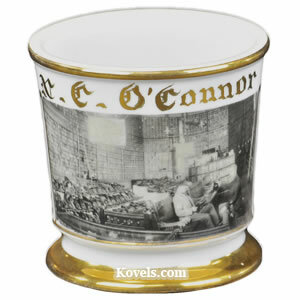 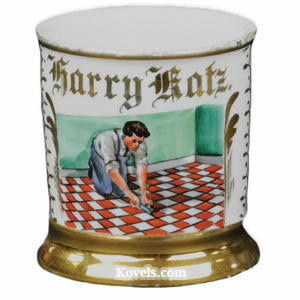 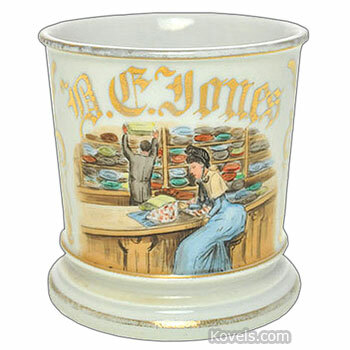 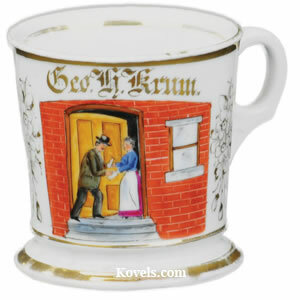 Many types were made, including occupational mugs featuring pictures of men's jobs. 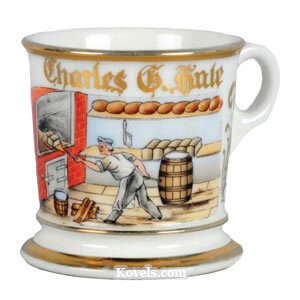 There were scuttle mugs, silver-plated mugs, glass-lined mugs, and others. 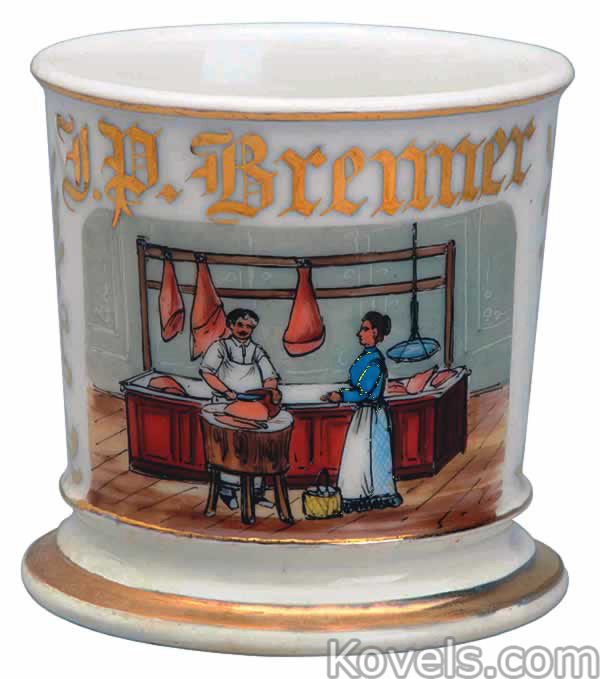 The first shaving mug was made as a soap package.